This weekend, I moved Letters to Leo by Amy Hest to the top of my "TBR" (To be read) pile and I am so glad I did! Without spoiling any parts of the book, it is about a fourth grade girl, Annie Rossi, who has always wanted a dog of her very own, but her father has never been a fan of dogs. He finally gives in after her mother passes away. 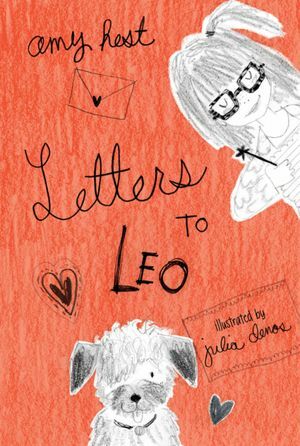 Annie is so excited to have her own dog, Leo, that she begins to write him letters daily about her reflections about school, her father, her friendships, her mother, and about how she wants Leo to be a "model citizen". This book is written in the form of letters to Leo and includes some labeled sketches as well. During this book, the reader really gets to know Annie and her point of view on many situations in school and at home. I also love how Amy Hest brings in parts of the teaching and learning that is happening in her classroom as well, such as using "juicy words" in writing to be more descriptive, writing poetry, and meeting an author. This book is definitely a must read for kids in 3rd, 4th, or 5th grade - they will fall in love with Annie and her dog Leo! I picked up this book at Barnes and Noble because I love the illustrator, Alison Jay, and I was so glad I did. 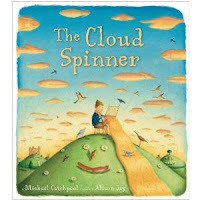 Not only does The Cloud Spinner lend itself to environmental units and issues, but it also has a subtle ethical debate. The princess in the story has to decide between obeying her parents and doing the right thing for the environment. Right versus right decisions are so important to discuss with students and this is a book that can inspire classroom conversations along the lines of "what would you do if..."
I'm working on a list of books that have ethical dilemmas in them. If anyone has suggestions, please share! Our school hosted instructional rounds this week and for the first time, in our district, a few teacher leaders were invited to participate in the process. As a teacher leader, I was excited about this learning opportunity and knew that I was going to have many important takeaways that would extend my thinking as a teacher, literacy coach, and leader. As Melanie Meehan shared in our previous post The Power of Videos in Instructional Rounds, we have many new teachers so we focused our ‘Question of Practice’ on our new teachers by looking at specific standards: planning, learning environment, instruction, and collaboration. I was a participant in the ‘Instruction Group’ and we visited classrooms varying from 1st grade all the way to 6th grade. In each of the five classrooms that we visited, we observed reading workshop. As a teacher who writes and revises the reading curriculum in our district and coaches new teachers in literacy, I loved being able to see the current progression across grade levels in reading instruction. Visiting these classrooms during reading workshop, I was able to observe and think about the level of vocabulary used during mini-lessons, the level of student independence, the level of student talk with classmates, and the quantity/quality of writing about their reading on post-its or in reader’s notebooks. Although students are practicing similar reading skills in all grade levels such as inferring, predicting, synthesizing, questioning, and interpreting, we want the skills to become more complex as the grades progress. For the most part, I did see a progression, but there is always room for improvement in this area of complexity and rigor. The Common Core State Standards emphasize text complexity, skill progression, and rigor so I am looking closely at our reading curriculum with this lens to make sure we are increasing the level of skills and level of rigor in our classrooms in each grade level for our students. One way that we can help to identify, reflect, and implement more rigor in our teaching is to observe across grade levels to see firsthand what students are learning and doing independently in the previous grades. I also think coaches and school leaders will benefit from observing reading workshop (and other subjects) across grade levels, focusing on one skill at a time. For example, they should visit classrooms from 1st grade to 6th grade with the lens focused on inferring, developing theories about characters, etc. so they can see the skill progression that is currently in place and evaluate whether there are too many overlaps. Pathways to the Common Core , which I wrote about in a recent post, recommends shared walk-throughs with colleagues to focus on the ways second graders through sixth graders grow theories about characters (pg. 19). By doing this, we will see if strategies are being recycled each year or if the progression is developmentally appropriate and is rigorous enough for our students. By observing across all grade levels using the same lens, we will be able to identify and reflect on the skill progressions as well as make necessary revisions that foster a rigorous curriculum for our students each year. Participating in Instructional Rounds extended my thinking as a teacher leader and literacy coach in many ways. I would love to hear about your own experiences with instructional rounds, the takeaways you have, and the impact it has on your teaching and coaching. Every Thursday, we post about an app or a website that we use with students for educational purposes. This week, I am writing about ABC Magnetic Board Lite from Dragonflies Unlimited. This free app has many paid renditions if you want additional sets of magnets or lower case letters. However, so far, the lite version has been fine for my purposes. I have used this app with some of my students with intellectual disabilities so that they can practice encoding. The letters are bigger than a keyboard and the students can move the letters with their fingers so it is a great way for them to practice spelling some of the words they are working to learn. While I use it with upper elementary students, I think that younger students with or without disabilities would really enjoy practicing their sight words using the electronic magnetic board. One of my favorite aspects of this app is the feature that allows us to email messages that we create. We have sent messages to parents, other teachers, and even other students in different schools. This provides such an important purpose to my students' work because they love to get reactions and receive responses. The screen is not large enough to write much but certainly "Hi Mom, How are you? From Melanie" fits without a problem. Again, I have not spent the additional money to have decorating stickers and choices of letters, but there are many different choices for students who want more pizzazz on their messages. Many more complex and pricier magnetic boards are available to purchase for the iPad. If anyone has bought them, I'd welcome your reviews! Our elementary school hosted instructional rounds today and so all of the district's administrators arrived at 8:00 this morning. Our principal, Grace, invited a few of the building's teacher leaders to participate, including me and Melanie Swider. During her welcome and powerpoint presentation, Grace reviewed how many new teachers we have, as well as how many teachers are in new positions. Teams of administrators would be visiting five of the new teachers' classrooms to evaluate how the extensive induction programs we have provided throughout the year have helped them develop their practices. Nerve-wracking for the new teachers, no doubt, but an authentic and meaningful problem of practice to explore! Grace assigned the administrators into specific teams with each team looking at a specific standard. She had one team focus on planning, one focus on instruction, one focus on classroom environment, and one team focus on collaboration. I stayed with the collaboration group and we watched a series of video clips in the media center. While I don't think that this is the norm for instructional rounds, it was an incredibly powerful activity to share with administrators from around the district! One of our PLCs reviewing a lesson that they had shared with each other. One of the fourth grade teachers consistently had students doing well on district writing assessments in elaboration so the team decided that they would watch her lesson and determine what she was doing that was so effective. The video showed them talking about their noticings, their own students, and next steps. A PLC setting up a SMART goal at the beginning of the second cycle of inquiry. Grace facilitated this meeting and the video showed strong dialogue about reviewing data, establishing baselines, developing a plan and hypothesis, and setting criteria to evaluate the effectiveness of their action steps. A kindergarten PLC discussing how to improve the books that the children were reading and how to improve the shares that happen in their classrooms. One of our New Teacher Meetings where teachers were talking about what tools and resources they have used throughout the year to help them develop professionally. A coaching session between Melanie and three of the new teachers. From watching these videos, we could see the clear patterns of teachers taking risks, sharing practices, wondering with colleagues about the effectiveness of their strategies, and pushing each other to reflect not only on their own work but on each other's practices as well. I had initially wondered how effective sitting and watching videos of meetings would be for administrators but having experienced it, I can attest to rich conversations and meaningful feedback that is possible from this activity. I am just finishing my administration program so I have only been on the receiving end of instructional rounds until today. Have others used video clips as part of rounds? What have your experiences been if you have? I'd love to hear! After reading great reviews on blogs and Twitter about The One and Only Ivan by Katherine Applegate, I finally picked up a copy and it completely lived up to all of its raving reviews! I could not put the book down once I started reading and read it in one sitting. If you have not had the pleasure of reading this book yet, it is about Ivan who is a silverback gorilla in captivity and is based on a true story. Ivan has spent the majority of his life in a small cage inside a shopping mall and his best friends are an elephant named Stella and a dog named Bob. They are joined one day by a young elephant named Ruby who has a great impact on Ivan. Ivan becomes determined not to let Ruby experience the same suffering he has so he makes a promise to Stella and to himself that he will save Ruby and give her a better life. I will not share anymore to spoil the book for you, but please trust me that you will fall in love with these characters and will miss them when the book is over. The author's note at the end of the book shares the story about the real gorilla named Ivan who spent 27 years alone in a cage and spent part of those years in a mall that had a circus theme. The real Ivan is now a "celebrity" at a zoo and is known for his paintings too! Definitely take the time to read this important author's note in the book to learn about the true story that inspired this beautifully written book. Thank you Katherine Applegate for writing this amazing story and for bringing these characters into our lives. I can not wait to share this book and these characters with my students! Driving home from vacation, I read Shifting the Monkey by Todd Whitaker. Several of the people I follow and admire on Twitter have been talking about it and I can understand why so many people appreciate this work. Whitaker emphasizes identifying monkeys, recognizing where the monkey should be, and figuring out ways to shift the monkey into the proper place. He emphasizes the fact that so much of the time, the same people in the workplace volunteer to take on extra work, while other people avoid work. Whitaker categorizes monkeys; there are Avoidance Monkeys, Yelling Monkeys, Crying Monkeys, Pouting Monkeys, and Rule Monkeys, among others. He gives specific strategies for dealing with all different types with humor and candor. While I appreciated this book because I am just completing my Educational Leadership program, I also related to it as a teacher. We often make rules or have class meetings to address the negative behaviors of just a few students. In that sense, they are the monkeys of the classrooms and the rest of the class loses valuable instructional time. Whitaker’s contention is that if we address workplace monkeys without confrontation by coming up next to them in a way that makes our expectations for them clear, then we minimize their negative power. Many times, even in a generally positive climate, as teachers, we stop instructional time and use it to address behavioral issues. When we do this don’t the rule-abiding students shoulder monkeys? They sit and listen to a discussion that isn’t really directed at them while their less compliant counterparts tune out the conversation and bask in the fact that they are avoiding work. When I think about it, monkeys exist everywhere. There's an old adage that if you want to get something done, ask the busiest person you know to do it. That being said, I appreciate Whitaker's points about the resentment that builds when the same people do more than their share. Shifting the Monkey will change how I approach adults and students and it will be a book that I return to for reminders about how to motivate less driven people and make sure that no one is carrying around monkeys. 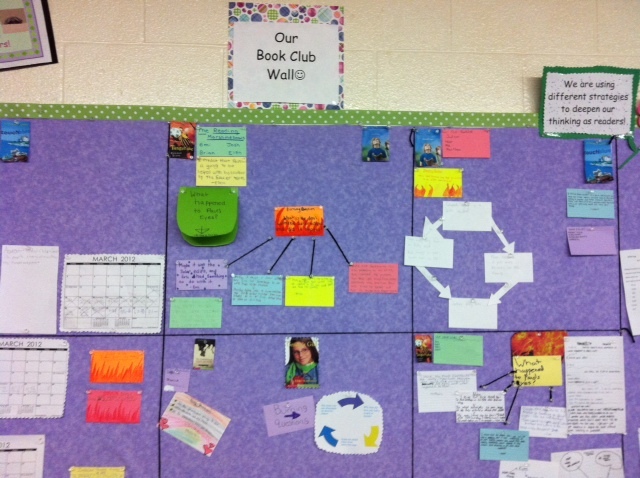 A few weeks ago, I wrote a post on Involving Students in Creating Bulletin Boards . I want to update you on some new ways my students are sharing their thinking with their classmates and how they are learning from one another. About a month ago, we started our social issues book club unit and the students wanted to create their own book club bulletin board. 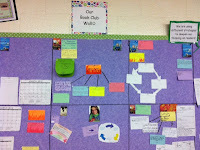 Each book club boxed off a square on the bulletin board using yarn and are posting their thinking, parts of their conversations, and strategies they are using while participating in their book club. In my morning message to students, I invite them to read their classmates thinking on the book club bulletin board and be ready to honor a book club's thinking/strategy at morning meeting. I also give students time each week to reflect on what they are currently doing well in their book club and which strategy they saw on the bulletin board that they will try out. These opportunities teach students how to be reflective but also teach them that they can all learn from one another. In my eyes, we have 26 teachers in the classroom, not one or two. Once this group of students shared their foam board with the class, the excitement and interest spread so I found myself making another trip to Michaels for more supplies, but was thrilled to do it! I love to see students have that spark in their eyes when they light up doing something they love and are proud of their accomplishments and hard work. It is so important to provide students with opportunities to share their thinking and hard work with others. This sharing helps give a sense of purpose for why they are doing it. When students have a sense of purpose, their motivation increases, and a higher level of learning occurs. I’d love to hear about ways students in your class or school share their thinking and work with others. I downloaded the free (yes, free) TeacherCast app a few months ago and it is a really convenient resource to have whenever I want to listen and learn. Based in Philadelphia, Jeff Bradbury hosts educators from around the country and talks about technology in the classroom. He is a music teacher in North Brunswick and started TeacherCast "to help teachers learn about educational technology." For people without an iPhone or iPad, you can also access these podcasts through Teachercast.net. I have used this app as a resource to link me to audio lectures. I have listened to several of the podcasts and they have all inspired me. Podcast 18, "Digital Citizenship," inspired me to join Twitter, an incredible source of learning. Podcast 21, "Creating a Digital Footprint," made me think not only about how I teach students to use the internet and social media, but also how I parent my daughters to think about their electronic trail. I listened to a few other podcasts driving to South Carolina and was especially inspired by the interview that Jeff had with Angela Meiers about her TED Talk where she talked about spreading the concept of "mattering." Jeff has other podcasts about specific apps, Web 2.0 skills and classroom applications, leadership styles, and internet safety, just to list a few. One of my favorites is Podcast 39 "The Many Hats a Principal Wears" and I highly recommend it to anyone thinking about entering educational administration. Shira Leibowitz and Jessica Johnson are two amazing principals I follow on Twitter. In addition to the podcasts, TeacherCast also features links to Live Binders, Professional Learning Networks, and categorized blogs. There are also app reviews, screencasts, and featured articles. Basically, no matter how much time you want to spend investigating links and opportunities to learn, you can occupy yourself through the various activities of this app/website. One frustrating part about the TeacherCast app is that once you start a lecture, you have to listen to it all the way through because if you pause or try to open another app, it stops and you can not return to the place where it stopped. If you enter the site through iTunes, you do have the option of entering the podcast wherever you want. I'm hoping that the app gets an upgrade that fixes this issue. These lectures have provided me with an incredible amount of learning. Whenever I have a long car ride or a walk by myself, I listen to one of the podcasts and am guaranteed a new idea. Thank you to Jeff and to all of his contributors! For anyone who knows me, they know that I am passionate about teaching reading and writing workshop, reading as many professional books as I can, and staying up-to-date with the latest thinking from the Teachers College Reading and Writing Project. 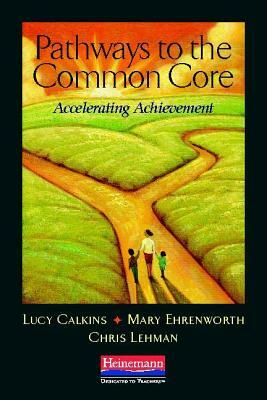 Ever since I heard that Lucy Calkins was working on writing the Pathways to the Common Core last year, I couldn't wait to get my hands on the book. The day finally came on Friday when it arrived in my mailbox. I have read and reread it already over the weekend and know that I will continue to reread parts over and over again. It is a well-written professional resource that helps to unpack the Common Core State Standards for educators. Every teacher, literacy coach, and instructional leader should have a copy of this book in their hands to read and discuss together as they begin to embrace the Common Core. Pathways to the Common Core is organized so you can choose to read it cover to cover at one time or read individual chapters that focus on the reading, writing, or speaking/listening and language standards. I chose to read the book in its entirety because I always like to see the big picture first and then reread chapters to strengthen my understanding and focus. Now that I have read the entire text, I can see how the parts of the Common Core connect to one another and how the skills build upon each other for students. I love that we are reminded in the introduction that we have the choice to either view the standards in a negative or a positive manner. This statement directly relates to the growth and fixed mindsets that we have been talking about so much lately as educators. We can either choose to complain and gripe about the standards OR we can choose to embrace the standards and use them as an opportunity to lift the level of our instruction in the best interest of students. I choose to embrace the standards and view them as an opportunity to strengthen teaching and learning. If you haven't purchased Pathways to the Common Core yet, I highly recommend that you make a visit soon to Amazon or Heinemann! I'd love to hear your thoughts about this amazing professional resource we now have to help us unpack and embrace the Common Core Standards. 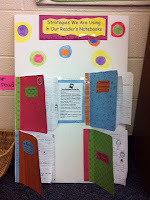 I love sharing Jen and Kellee's What Are You Reading Monday posts from their website, Teachmentortexts.com! I have a new female heroine to add to my list of strong role models for elementary age girls after reading Close to Famous by Joan Bauer. Foster McPhee is a twelve year-old girl with a serious reading disability. For years, she struggled to learn to read but by the time the story takes place, she has just about given up and she has learned to hide her inability to read. Through a series of events, Foster and her mother end up in a small West Virginia town among many people trying to realize their dreams. She is endearing, not only because she is a phenomenal baker, but also because she has courage, resilience, honesty, and perseverance. I would suggest that resilience and perseverance should be included in this list and Foster is an amazing character to inspire young woman to establish and achieve dreams! My seventh grade English teacher crawled across the desks when he read a passage from The Pearl to us. I still remember the passage and the power of the language that John Steinbeck used. My high school Latin teacher taught us that semper ubi sub ubi means always wear underwear. He taught us many more words and structures of Latin and we learned them because he was funny and passionate about his teaching. My third grade teacher kept our entire class after school when the minutes that she tallied on the board that we wasted on transitions added up to sixty. I can still recite the apology letter I had to write to my parents for inconveniencing them because I had to stay after school. Teachers have power. When I first started teaching I had the quote by Haim Ginott hanging on my bulletin board and I came across this quote again. I have hung it up again so that it reminds me of my daily power. We all make many decisions throughout the day--there’s some ridiculous number of how many decisions a teacher makes in a day that I’m sure I could google and quote, but really, we make much more than just decisions because we make moods and we make memories. Mel wrote a post this week about mindsets and I hope that students remember that we challenged them to think about themselves as learners. We’ve read them great books and I hope that they remember that they loved books in our room. We’ve been writers together with them and we have allowed each other to critique our pieces, so I hope that they remember that great writing is never really a final draft. I hope that they remember that math has many real life applications and that they really have to know their multiplication facts. And I hope that they remember that they were valued, honored, and inspired as learners. Will they? Some might remember me as relentless or as a tough critic. I think I’d be okay with those memories as well. I’m having an especially reflective day today since I attended the funeral of a close friend and we are now driving over eight hours toward Hilton Head. One of the speakers at the service quoted the speech that Jimmy Valvano delivered at the ESPY awards in 2003. (This is really worth the eleven minutes!) The motto for the foundation that Jimmy announced that evening is “Don’t give up. Don’t ever give up.” What an amazing motto to hear this week in conjunction with the conversations we have had and the post Mel wrote about Mindset! Jimmy also charged the audience with three important things to do every day. Laugh, think and cry. I hope that my students remember laughter and thinking in the classrooms that I share. While I can’t say that I cry every day I do hope that they remember that there have been books and moments when their great work has moved me to tears. What about you? What lasting impressions are you creating? What do you want to create? Two weeks ago, I wrote a post about attending a Common Core Conference and hearing about the book, Mindset by Carol Dweck. In that post, I reviewed how Mindset impacted me as a person and as an educator. After reading the book, I became intrigued by the Mindset concept and began reading articles online about it, tweeting about it, and joining the #educoach chat recently about it. I decided to share the concept of a Growth Mindset and Fixed Mindset with my students. 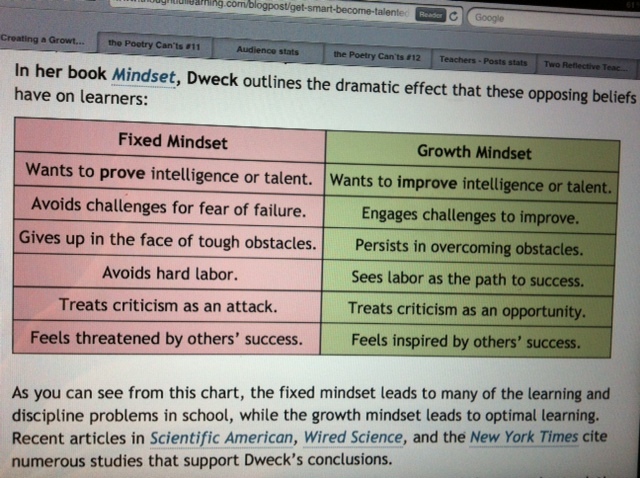 I discovered this chart in a post about Mindset on the Thoughtful Learning Blog to use as a helpful visual while sharing the two different mindsets. Yesterday during morning meeting, I had the chart up on the Smartboard while I gave real life examples of students who have a fixed mindset and students with a growth mindset. Then I asked the students to think about which mindset they have as learners and put a thumb up when they could explain their reflective thinking. Students turned and talked to share their reflections with their partner. 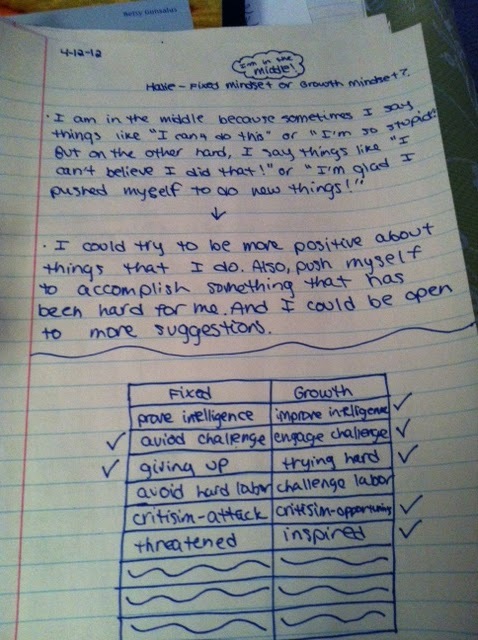 Many of my students shared that they considered themselves to be in the middle and found that they have some growth mindset traits while also having some fixed mindset traits. I was extremely impressed by how mature, honest, and high level their conversations were as they reflected upon themselves as learners. Some were brutally honest and admitted that they completely have a fixed mindset and gave specific examples to support their reflection. I asked students to think of a plan to help them work towards turning one or more of their fixed mindset traits into a growth mindset trait. They turned and talked with their partner to help one another with their plans and goals. I will continue to use the words “Growth Mindset” and “Fixed Mindset” in our daily conversations, lessons, and reflections. 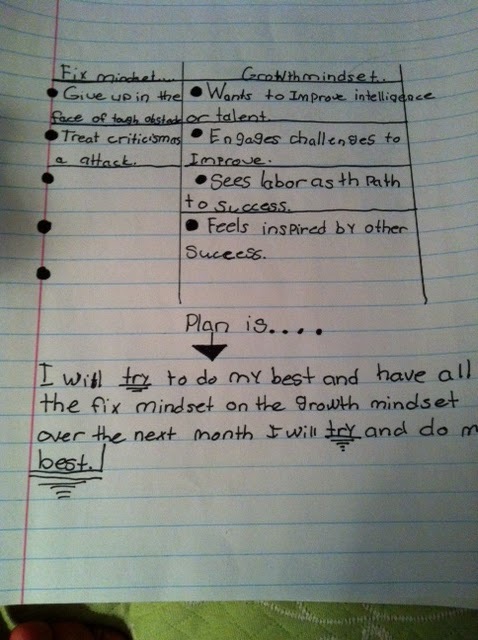 I will also hand back their mindset reflections in about a month so they can continue to reflect on the growth they made working towards their mindset goals. I’d love to hear your thoughts about sharing the Mindset concept with students/colleagues and how you are helping students/colleagues work towards having a growth mindset rather than a fixed mindset as a learner and as an individual. At the beginning of each school year, I create a new personalized plan book binder with lesson templates, sections, and schedules. Over the years, I have lugged home the plan book binder each day to review and/or revise the next day’s plans as well as have it home with me “just in case” I needed something from the binder. Last summer, I was determined to go as paperless as possible this year by using my iPad for conferring, planning, and grading. My search for an online planbook was underway and my search was over when I came across Planbook.com. This is an online planbook accessed via the web using any computer, iPhone, or iPad. The cost is $10 for the year and is worth every dollar! · Share my lessons with Special Education Teacher Melanie Meehan, other teachers, and students if they are absent. This definitely makes team teaching and collaboration much easier. To share lessons with others, you create a password which is referred to as the "student key" and share the "student key" with colleagues/students you want to have access. I also like how I can share only certain parts of my plans that are relevant to the viewer (lessons, homework, events). I now have my lessons at my fingertips at any time of the day and anywhere I am. With one click, I can now adjust my plans daily to make revisions and changes based on new events, student learning, and the every day disruptions that occur in an elementary classroom. I also love that I have a digital record of my plans for the year to refer back to for reflection, intruction, and coaching purposes. There are many helpful tutorials on the Planbook.com website that walk you through the process step by step. 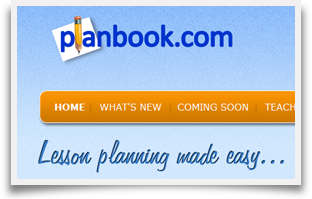 Planbook.com also provides teachers with a 30 day trial period to try it out before making the purchase for the year. I’d love to hear about different online systems others are using to help with planning in the classroom. I had my final Internship meeting last night for the Educational Leadership program I am completing. I handed in my log of the 500 hours I have compiled, my flash drive of the year's highlights, and my six page final reflection. However, my professor went around the table and asked us all to share some of our important learning over the course of the internship. I think that my final reflection needs an addendum--maybe even a sequel. I'm including some of my additional thoughts. When I reread them, it occurs to me that most are as applicable to teaching as they are to building administration. Relationships are vital in schools. Everyone at our table mentioned how relationships and culture has either inspired or immobilized their schools. Being a leader has lonely moments. There are lines to respect, information to keep, and reasons that shouldn't be divulged. Sometimes emotional issues arise and emotions must remain in check. John Maxwell wrote about the Law of Magnetism and I think about this premise frequently. Maxwell's concept is that we attract people who are similar to us. Therefore, people who work hard attract people who work hard. Guess who people who complain attract? Sometimes, we can't control our groupings in school settings but I do pay attention to who gravitates naturally to each other and to me. I can learn a lot about people and also about myself. Egos should remain in the hallway or learn to be patient. When leaders cultivate great ideas and thinking, people will notice the positive culture, although it might take time. In group settings, empowering and guiding others to great ideas may not earn immediate credit. However, when people are excited to be doing the work and proud of their accomplishments, the impact on students will be positive and therein lies the reinforcement. Twitter is an amazing resource. The information available is infinite and inspiring. Professional Learning Networks offer theoretical, practical and visionary advice and suggestions. The more that I've shared and offered, the more contacts and and sharing I've received--it's an exponential growing opportunity for all levels of educators! Self-evaluation and reflection are critical qualities. A difference exists between lacking confidence and looking at your work critically. How could I have been more effective? Handled a situation differently? What if I had taken a different path? These are important questions to process and explore in a quest for continuous improvement. We are rarely as good as we think we are. For right now, it's a short list because too much more would be overwhelming for me. I'd be happy to add suggestions as they come in, though. Feel free to nominate some! I re-read The Last Lecture by Randy Pausch over the weekend, more for personal reasons than for professional reasons. I read this book a few years ago and I need to return to it at least once a year because it contains so much wisdom. Pausch was a professor at Carnegie Mellon and died of pancreatic cancer, after giving his “last lecture.” Many of the chapters and lessons in this book resonate with me as a teacher and as a parent. Here are just some of the highights; there are far too many to try to list in a relatively short post. · Ask yourself if you are spending your time on the right things. Doesn’t this apply to all ages? Think about how this short line changes as we gain life experiences! · “Rethink the telephone.” I wonder what Pausch would say about all of the cell phones in our world. Actually, I don’t really wonder. He would emphasize that the more important people are the ones in front of you. How do we teach students the value of inter-personal connections since so much of their worlds are virtual? o Find things you have in common. o Try for optimal meeting conditions. o Check egos at the door. o Phrase alternatives as questions. These can be found in the chapter called Start By Sitting Together and it's worth the time to read the explanations for each one. · “Experience is what you get when you didn’t get what you wanted.” I love this line! It goes along with the concept that students should be analyzing mistakes and that they learn best when they understand what they didn’t know. · Many of the chapters address the proverbial brick wall and the importance of finding a way through or around it. Within the commonly adopted 21st century skill sets, I have not seen many mentions of resilience and perseverance but these are valuable skills for today's students. I recently came across the video about creativity that emphasized that problems are not solved on the first try. People solve problems and discover creative situations when they persistently look for answers and solutions. · Apologizing is a skill and there is such a thing as a bad apology. Don’t apologize with a “but.” Pausch emphasized apologizing with an acknowledgement of a wrong and an offer for retribution. · With rights come responsibilities. Pausch called this Communitarianism and the basis of it was that “when we’re connected to others, we become better people.” I think that this is an incredibly important concept in our classrooms! Thank you to Randy Pausch for so much wisdom in one place and also to Jeffrey Zaslow for helping him to write it. The short chapters of The Last Lecture inspire me as a parent, teacher, and human being. I am the type of reader who can not put a book down when it is one of those books that grabs me in after the first few pages. Needless to say, I was not very social yesterday with my family for Easter since I picked up The Running Dream by Wendelin Van Draanen at Barnes and Noble yesterday morning, right when they opened at 11:00 . I first heard about the book this weekend on Twitter and read a review that compared it to Out of My Mind by Sharon Draper which is one of my all time favorite chapter books. As soon as I heard this comparison, I had to get my hands on The Running Dream. As I walked out of B&N, I couldn’t wait to read the first few pages so I devoured the first chapter while sitting in my car. Throughout the day, I read every minute I could because I missed the characters and needed to find out what happened next in their lives. 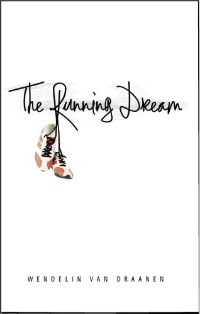 Without spoiling the book, the main character is Jessica, a 16 year old who loves to run on her track team. After a tragic accident, she loses a leg and her whole world turns upside down. This tragedy, in turn, makes her a stronger person in many ways while going back to school and getting a prosthetic limb. As she faces challenges each day at school, she reaches out to a classmate, Rose, who has cerebral palsy. This friendship blossoms from the empathy they share for one another because they both want people to see them for who they are and not for the condition they have. Rose reminds me of Melody from Out of my Mind because they both are underestimated by others based solely on their outer appearance. The characters in this book are powerful and remind the reader that we can all make a difference and that with the right mindset, we can reach our goals in life! I am eager to read this book aloud to my fifth graders as soon as we get back from our spring break. They loved Out of my Mind and were full of empathy for Melody and strong emotions for all the characters in that book. I know they are going to be entranced by The Running Dream and are going to fall in love with the characters as I did, awaiting their every move and decision. This book left a last impression on me as a person, I’d love to hear what impression it has left on you or your students. I downloaded The Book Creator last week and it is already one of my favorites for students of all different levels. This app has a $4.99 price tag but it’s definitely worth it! As a Special Education teacher of upper elementary grades, I have several students who are resistant writers. This app has amazing potential to motivate them to write more since the finished product is beautiful, accessible, intuitive, and reflective of their efforts. Book Creator allows you to import pictures from the iPad or other shared albums and then add as many text boxes as you would like. The app also includes an audio feature so that you can record voices or music. Once you complete your books, you can save them on iBooks or in Dropbox or you can email them to friends for sharing. I have been using this app with one of my students with intellectual disabilities and what an incredible tool! 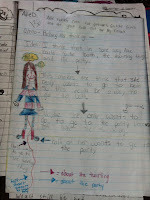 We took pictures of this student making various emotional faces and then helped her draft a repetition book. She loved being able to record herself reading the pages and willingly practiced and practiced her Frye words and her fluency, without even realizing that she was doing it. She is also happily practicing pronunciation and sentence structure, skills that she would sometimes prefer to ignore! I kept the first copy that she made and we are working on her fluency for a final copy. This way, she has a writing portfolio that I can reference and document her growth. When she creates a fluent final version, we will connect the iPad to our classroom Smartboard and she will be able to share her book with the class. The rest of the students can’t wait to hear her book! Other students have been using book creator for writing, as well. One student has created a book of his poems. The program is intuitive enough that he has been able to figure out how to import pictures, change and manipulate font, and include recordings. He has been motivated to write and has produced several poems. Because he is repeatedly reading and listening to his poems, he has been authentically revising and editing his work-ah, the power of a published product! Additionally, he is practicing his fluency through the repeated readings, and this is a skill that we have been working on throughout the year. I really can’t wait to see future projects students will create. Fourth graders are studying ecosystems and I think they could make beautiful iBooks about habitats. Fifth graders can continue to publish poetry anthologies, as well as have additional project options for their studies about the colonies. I’d love to hear how others are using this app since it has been around for a year and I’ve only just begun using it in the classroom. Please share! Years ago, my back starting to get sore from carrying the reader’s notebooks home and I was tired of losing post-its that I collected from students with their thinking so I created a “My Thinking Matters” post-it sheet. 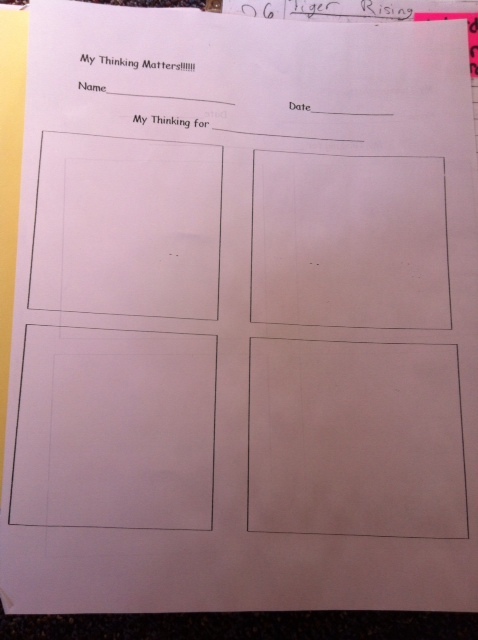 Using a word document, I drew four boxes to represent post-its and titled the document “My Thinking for…..” The four boxes are blank and waiting to be filled with the students’ thinking! Sometimes during read aloud, I have students use these sheets to jot down their thinking instead of using their reader’s notebooks so I can easily collect the sheets. When I ask students to use the post-it sheets instead of their reader’s notebooks, I ask them to stop and jot four times during the read aloud (one idea in each box) and I give them prompts that address specific skills. I might ask students to write about visualization, character traits, character change, character relationships, lessons, symbols, inferences, or theories. When I collect the thinking sheets, I use their responses to help me plan instruction in mini-lessons, small groups, and future read alouds. I also use this sometimes as a baseline assessment to identify the levels my students are at in certain skill areas at the beginning of a unit. Toward the end of the unit, I ask students the same questions to measure their growth in the skill areas. This is a quick way to get a "look" inside students' minds as readers to see which skills they have already internalized and which skills they need to strengthen. When I was in elementary school, I remember the dreaded workbooks that we used for reading. I hated answering the comprehension questions and I tried writing anything for the answer so I could just get it over with and go out to recess...but my teacher always caught on and I then missed recess to re-do my answers. I realize now that I disliked the reading questions so much because I didn't understand "why" I had to do it and didn't know "how" it helped me as a reader. It also was very boring! As a teacher, I make a point of always explaining the purpose of why we do certain tasks and units of study so students know "why" they are doing it and "how" it can help them as learners and people. So when I decided to use reader's notebooks in class almost 10 years ago, I made the promise to myself that I would make the purpose clear and encourage students to have fun with their notebooks! I am a firm believer that having conversations and writing about reading increases comprehension. When we give students the opportunity to write about their reading, they are able to try out the strategies in a written form which allows them to process the information and reflect. Writing about reading can take many forms from writing on post-its to writing in reader's notebooks This is also another form of data to use to informally assess each student and see what skills we still need to teach and reinforce and what skills students have internalized. Students need a consistent amount of time they can depend on to write in their reader’s notebook, but we want to make sure it is not taking up their reading time; we want them to read more than they write during reading workshop. One way to provide students with a predictable and consistent amount of time is to make certain days of the week "writing days" at the end of reading workshop. For example, in our classroom, Mondays, Wednesdays, and Fridays are “talk days” when they have conversations with their reading partner and Tuesdays and Thursdays are "writing days" when they write about their reading at the end of reading workshop. They write for about ten minutes and if they don't finish in class, they can continue working on it for homework. This way, students know they will have the chance to write every Tuesday and Thursday and it becomes a classroom ritual without taking up reading time during reading workshop. It is important to give students specific feedback on their writing about reading. 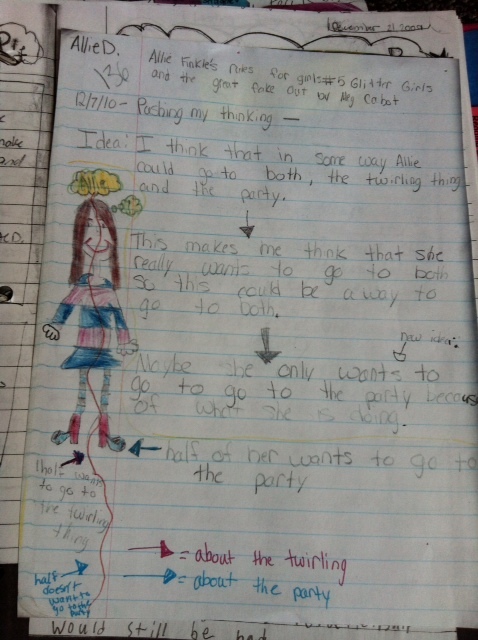 That way, students know they are writing for a purpose, and they give us more insight into what they are thinking as readers. I collect their reader’s notebooks as often as I can to leave my feedback in the back of their notebooks on post-its. I also read their responses/charts whenever I can during the school day. Students enjoy the positive reinforcement and they become increasingly willing to try new strategies! Over the weekend, I finished The Fourth Stall by Chris Rylander. A friend had recommended it as an engaging book for middle grade boys and I would agree with this recommendation. The main character, Mac, and his best friend, Vince, run a lucrative business out of an unused bathroom in the school. The student body knows that these two boys are generally able to provide relatively benign favors--gaining access to an R-rated movie, obtaining a homework pass. However, the pressure and stress level skyrocket when a fourth grader asks for protection against a known hustler who has been swindling students and physically threatening them. The plot is fast moving and highly engaging with (spoiler alert) a few violent scenes that graphically describe characters being beaten up. There is much more to the book, though. The Fourth Stall provides opportunities to discuss stereotyping, loyalty, ethical decision-making and the convolution of perceptions and realities. Because there is also an element of crime solving, I found myself constantly predicting and second-guessing my judgments and the characters' assumptions. I also found myself wondering about the plausibility of some of the situations. Working in a suburban elementary school probably shields me from some of the realities in today’s public schools. Would adults on recess duty really not notice a gang beating up a younger student on the outskirts of the playground? Would parents really not question a pair of black eyes as the result of a biking tumble? Would a custodian really facilitate students using a defunct bathroom as an office? We are always looking for great read alouds and I do think that The Fourth Stall is a high impact book for upper elementary students. Empathy is a critical 21st century skill and this book forces characters, and therefore readers, to examine perspectives and motivation. Another important skill that children must learn is how to apologize and right a wrong. This is a great book for discussing and teaching retribution. On Friday I went to a Common Core Conference and the speaker, Dr. Cathy Lassiter, repeatedly referred to the professional book, Mindset by Carol Dweck . She emphasized that we need to address the mindsets of teachers and students if we are going to have rigor in the curriculum. 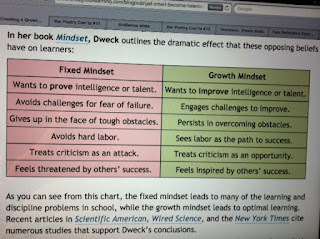 Carol Dweck believes in two mindsets: fixed and growth. Teachers with a growth mindset look at students as clay, believing that they are malleable and will learn anything you teach them. Teachers with a fixed mindset aren’t as persistent in their teaching and think that certain students either are equipped with what they need to learn or don’t have what it takes. Students with a fixed mindset are more likely to give up because they think they can’t do it, while students with a growth mindset will persevere and keep trying while enjoying the challenge. I listened to this explanation of mindsets, and I was thankful to my grandfather for instilling the growth mindset into me at an early age. I can still hear his words, “You can do anything you put your mind to” and “Your knowledge is yours to keep forever; no one can ever take it away.” I always welcome challenges, take risks as a learner, and expand my comfort zone to extend my learning to higher levels. Thank you Papa Joe for helping me become a lifelong learner like you! In addition to being thankful to my grandfather, I immediately had pictures in my mind of students who repeatedly say, “I can’t do this” or “I will never be able to…” and knew I had to read this book to learn more about the fixed mindset that these students have. I immediately texted Melanie Meehan and asked if I could borrow the book to read this weekend. · say, “I can’t do that”. I am going to share these highlights with my students this week and make them more aware of what kind of mindset they currently have, and how they can make changes if they have a fixed mindset. I agree with Dr. Lassiter that we can’t have rigor in our curriculum until we address the mindset issues, but I also believe that these are lifelong skills that we need to teach students so they can expand their dreams.